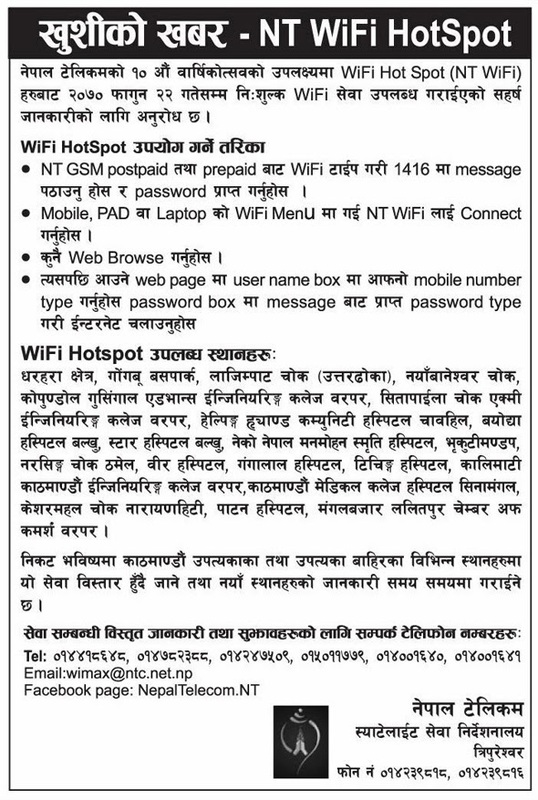 Nepal Telecom on its 10th anniversary celebration, has offered a free WiFi internet service in different places of Kathmandu valley till Falgun 22, 2070. Please see the notice below to find the WiFi Hot Spot and to get the WiFi service. Enjoy.